This interactive workshop presents instructional information and hands-on demonstration of the cutting edge measurement system to assess neurological and behavioral function – the NIH Toolbox®. The advantages of employing common measures across rehabilitation research studies and clinical practice will be addressed. Participants will acquire the basics of computer adaptive testing and modern psychometric approaches and the building blocks for administration of the NIH Toolbox® measures for emotional, cognitive, sensory and motor function via an iPad. Dr. Nowinski is a licensed clinical psychologist and Research Associate Professor in the Department of Medical Social Sciences, Northwestern University Feinberg School of Medicine. She received her PhD in clinical psychology from Loyola University of Chicago and her MD from Northwestern University Feinberg School of Medicine. Her research has focused on outcome measure development and evaluating the impact of chronic diseases and their treatments on health outcomes. She is particularly interested in the use of outcome measures in neurological conditions. Dr. Nowinski was Scientific Director of the NIH Toolbox for Assessment of Neurological and Behavioral Function (NIH Toolbox) development project. She was guest editor for a supplemental issue on the NIH Toolbox for Neurology and has over 20 publications related to outcomes assessment. She currently provides consultation, training and support to users of Neuro-QoL (Quality of Life in Neurological Disorders), the Patient Reported Outcomes Measurement Information System (PROMIS) and the NIH Toolbox. Susan Magasi is trained as an occupational therapist and earned her PhD in disability studies from the University of Illinois at Chicago. She completed a post-doctoral fellowship in health services and outcomes research at Northwestern University and the Rehabilitation Institute of Chicago. Dr. Magasi was a faculty member at Northwestern University from 2008-2012 and served key roles on several NIH-funded major measurement initiatives, including NIH PROMIS (lead qualitative methodologist in the Statistical Center), NIH Toolbox (motor domain manager and co-chair of accessibility working group) and the National Children’s Study (motor team scientific facilitator and accessibility co-chair). In 2013, she join the occupational therapy faculty at the University of Illinois at Chicago to pursue her passion of reducing health inequities for people with disabilities. Since 2013, she has received over 1 million dollars in federal and foundation funding for community engaged participatory research studies aimed at understanding and improving healthcare access, quality and outcomes for people with disabilities. 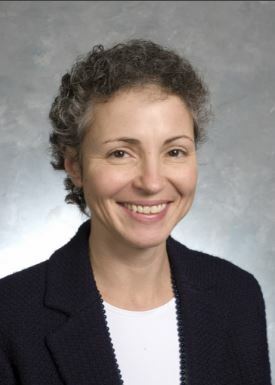 Dr. Heinemann is a Professor in the Department of Physical Medicine and Rehabilitation at Northwestern University’s Feinberg School of Medicine and Director of the Center for Rehabilitation Outcomes Research at the Rehabilitation Institute of Chicago. He completed a doctoral degree in psychology at the University of Kansas, is a diplomate in Rehabilitation Psychology, and a fellow of the American Congress of Rehabilitation Medicine and the American Psychological Association. He is a past-president of the American Congress of Physical Medicine and Rehabilitation and the Rehabilitation Psychology division of the American Psychological Association. He serves as co-Editor-in-Chief for the Archives of Physical Medicine and Rehabilitation, and is on the editorial boards of several rehabilitation journals. He is the author of more than 200 articles and is the project director of an Advanced Rehabilitation Research Training Award from the National Institute on Disability, Independent Living, and Rehabilitation Research. He received the Distinguished Career Award from the Rehabilitation Psychology division of APA.